The first thing you notice about Ketaki, the moment she walks into a room, is the stylish flair and ease with which she wears a saree. 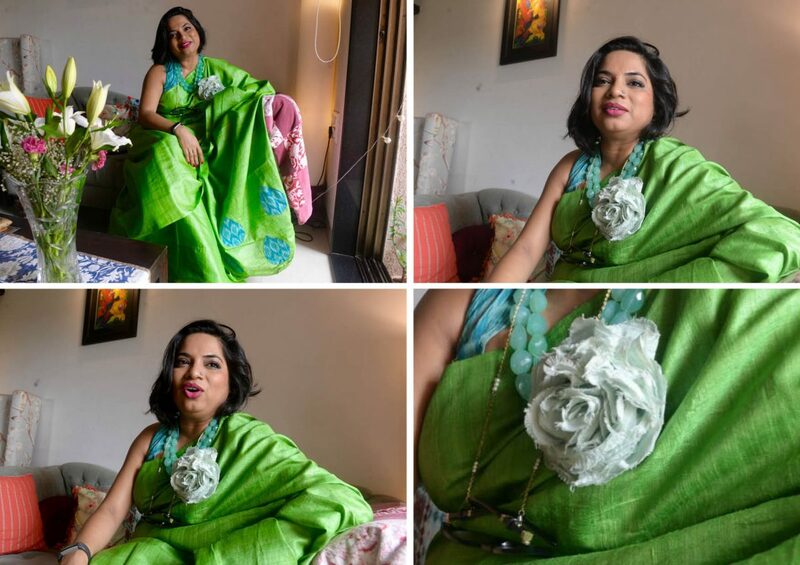 Its not just the saree itself, the choice of colours, the texture of the fabric, the flower pin, the spectacles on a bejeweled chain, the nath (nose ring), the shade of lipstick, each object is carefully picked to come together in one singular beautiful vision. I met Ketaki, several years ago while we were working on a project together. Ketaki was one of the few women who consistently wore sarees to all our project meeting. I was struck by her grace and confidence in the 6 yards. 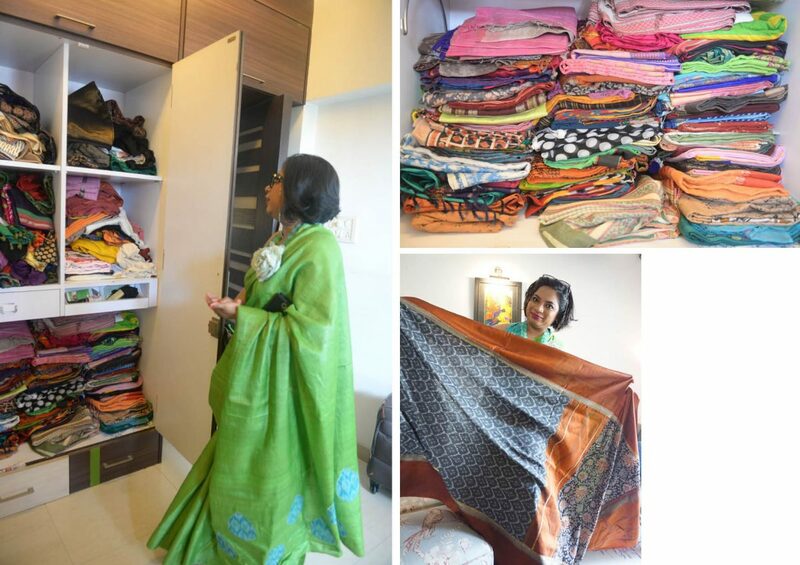 I reached out to Ketaki a few days back to hear her stories and point of view on wearing a saree. 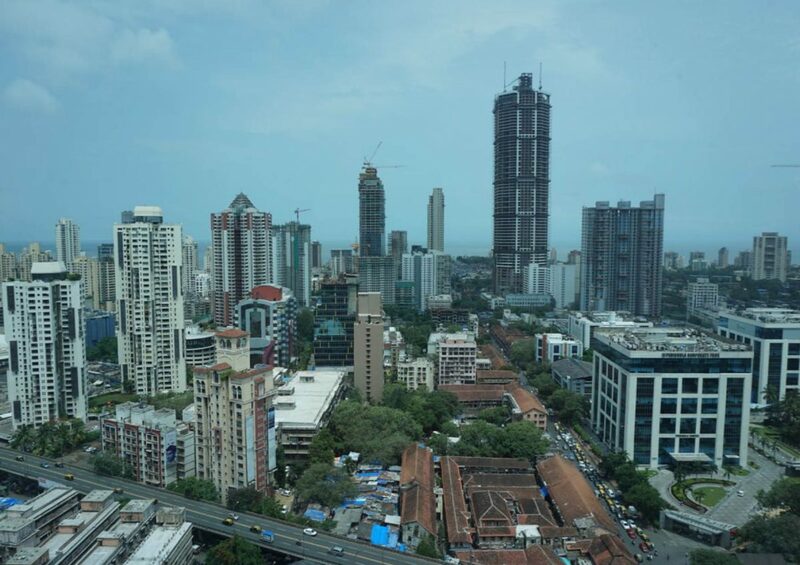 I am Bombay girl; I say Bombay very consciously as I was born in a city called Bombay that represented a very cosmopolitan spirit. My earliest memories revolve around looking into my mom’s closet and trying to dream of sarees that she would wear to work. When I was very little, I used to watch her get ready for work. Crisply starched cotton sarees and a beautiful handloom folder. That was my association of something beautiful and powerful. Before she would change into that avatar, she used to be in her nightgown trying to make breakfasts, pack dabbas for us. 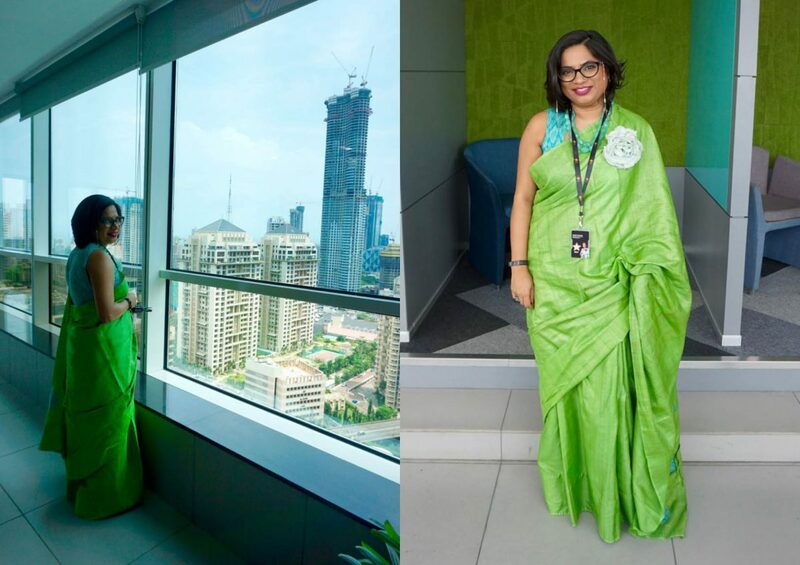 That transformation was so fascinating for me that it sort of stuck on that you could be a super woman if you wear a saree. She is a psychotherapist, she retired a few years ago from public service and now she practices on her own. For her as well, a saree was a very conscious decision. 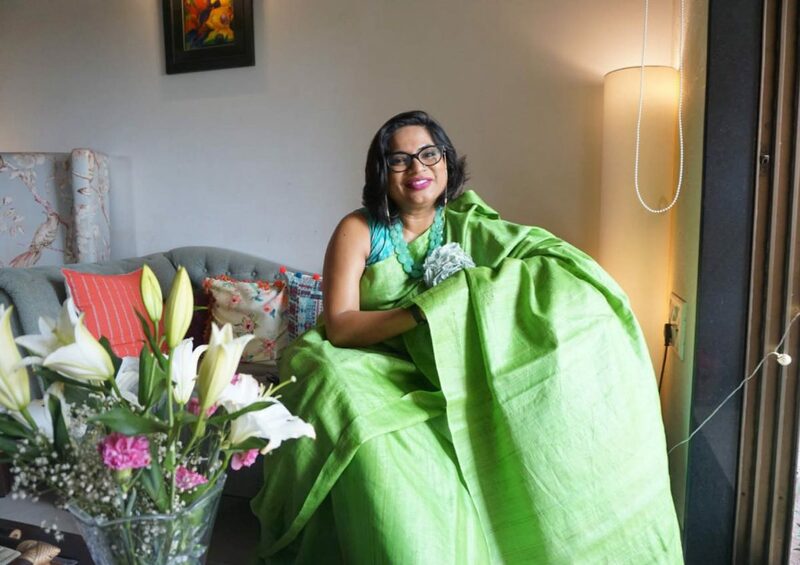 It became a professional thing because she used to work with addiction, alcoholism, and lots of other mental illnesses and disorders where sarees somehow presented itself as a formal yet warm attire. It became her signature thing. I wear it as often as I can. I have a 5 day saree rule which I have broken very rarely only if something is not laundered in time. Otherwise there are days when its seven days a week. For an occasion or weekend, any festival or a concert or any event, it is always a saree. What do you look for when you are wearing a saree or buying a saree? I try to find out a lot more about the fabric. I am very conscious about whether it is handloom or power loom. Where does it come from? What part of our culture does it represent? Is it something I don’t have in my closet that I share with my mother as well? When would I wear it? There are sarees that are for special occasions. I like to have those as well. But how often do you go for a wedding or those kinds of occasions. I like to buy as much as I can wear everyday. The saree I am wearing today, for example, is something I can wear through the day and take through the evening. I can go for cocktails after work or for a light dinner etc. I like to own sarees that come from every state of our country. Each state has its own very rich heritage in handloom and textiles and I hope to have them represented adequately in my wardrobe. How long does it take you to wear a saree? I mean obviously if wear a saree 5-7 times a week, its your everyday. Ya. I sometimes struggle to get into a dress, that is slightly more complicated than a saree now. It’s a myth that it is complicated to wear a saree. It is so airy first of all. You have lots of scope for layering which keeps you warm when its cold and cools you when its hot. It is a multi purpose garment. You just need to learn how to carry it. Most of us get very conscious carrying it. 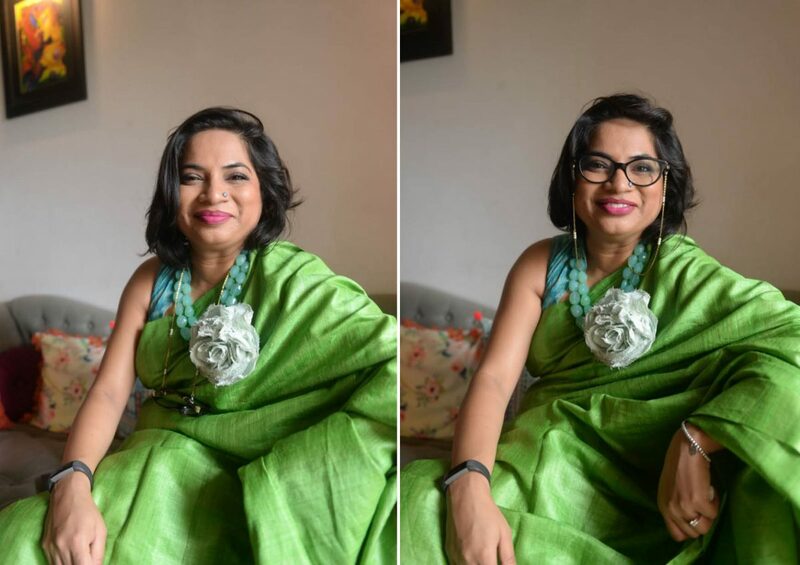 Maybe choose sarees that represent your personality and not something that is forced down your throat because your mother or grandmother said that you have to wear a saree in a certain way. What made you rediscover them, or what makes you adhere to the routine of wearing a saree when urban India is giving them up? I started wearing a saree, when I was very young. I must have been 16 or 17. There was this image of my mother draping a saree everyday. There was this idea of a super powerful woman who could do everything and still look so beautiful while doing it. This image in my mind was always related to the saree. And I started volunteering for an NGO, which deals with differentially abled individuals, I was teaching dance to them. 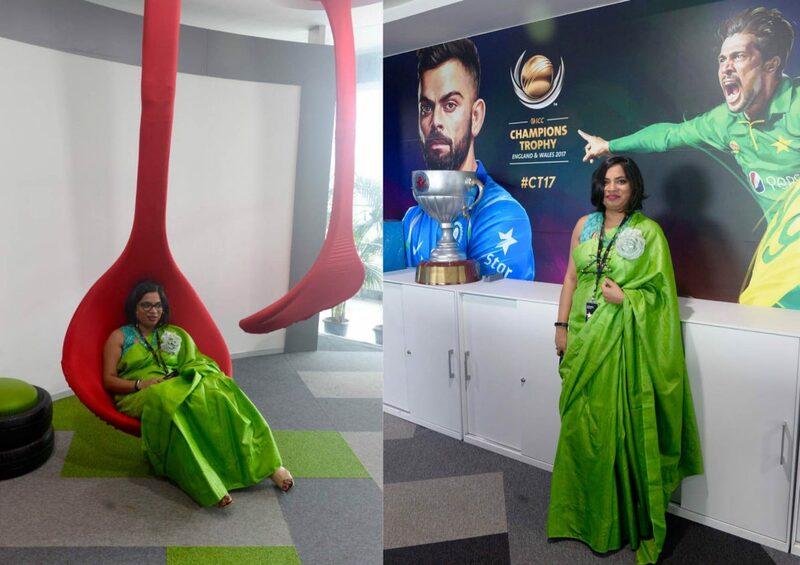 They were adults, and that whole idea that when you wear a saree, people take you more seriously. I was in college then, so I started wearing a saree to college and it became a thing. Then it became a uniform. I am also a trained dancer, I was always so comfortable in the 5 yards, sometimes there are moments of self doubt that one feels in the clothes they wear, I have never felt that in a saree. It is my go to confident garment. So if there is a big stressful presentation in office. It is a very natural thing to have a saree. 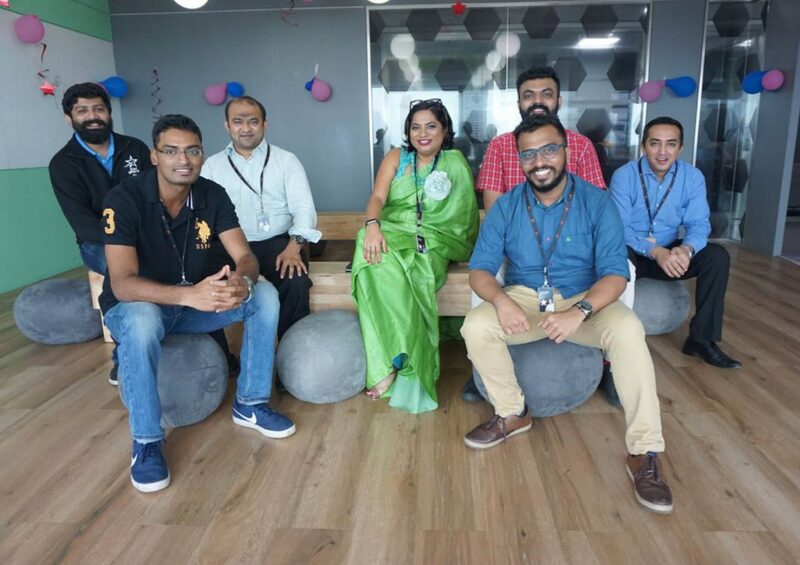 Even when there is a meeting with my colleagues from overseas, and naturally you are expected to wear a business suit, I would challenge that stereotype and still wear a saree. Because I know that not be myself in anything else but a saree. I don’t think it is a rediscovery, I think it is realizing very early on in my life that the saree is an extension of my personality. So this point about urban India giving up on the saree is a bit of a harsh statement. 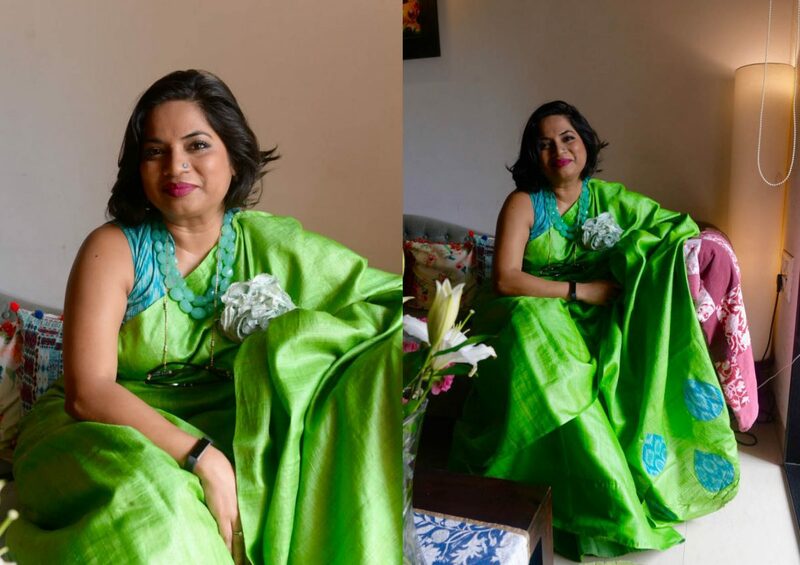 There are lots of people, young professionals who are curious about the saree just that they are not raised thinking or believing that it is a comfortable garment. You see in a city like Bombay, where you have to take a train and get to work. It is really a cumbersome garment. If they had seen their mother’s do it, somewhere their mothers also dropped wearing a saree for salwar kameez. In my case, my mother always wore a saree. And she drove to office as well. If they don’t have a point of reference, then you cant blame them to not embrace it or not wear it as often. I lead the PR efforts of a sports channel – Star Sports. Its India’s largest private broadcast network and part of it is a huge sports portfolio. Our endeavor has been to create not just a premium broadcasting experience for India, and by India I mean outside of the metros. It is also to encourage a multi sports culture in our country. We want people to get out and play sports and not just watch it on TV screens. It is a challenging yet exciting role and we are trying to promote an ecosystem that allows other sports outside of cricket to flourish. Our efforts are to create that sort of infrastructure and provide those opportunities as well. 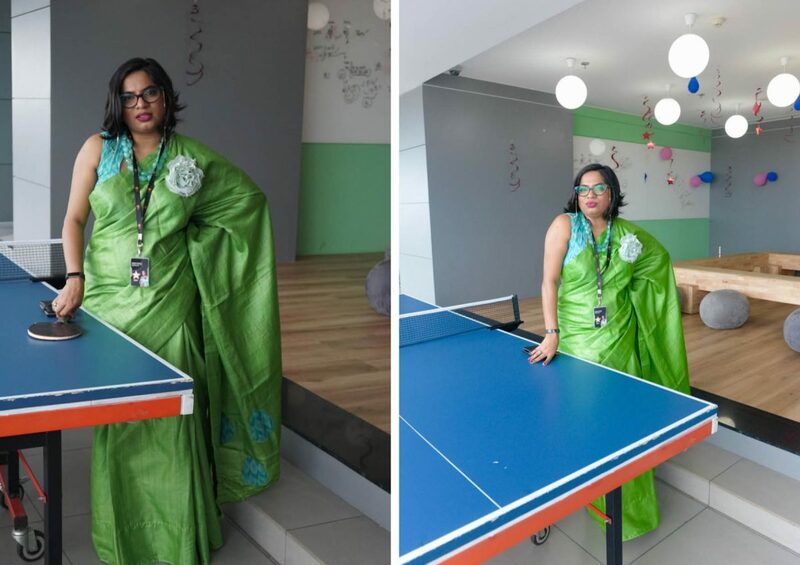 And you wear a saree to work everyday, would you say your environment is sportier? Yes! Most of my colleagues are very young. The average age of the people in the marketing team, which is what I am part of is 25. Majority of them are men. Of course they are not conscious about what you wear etc. as long as it is comfortable. They say its semi- casual but it is mostly casual. It was quite a contrast for me because I have always been in a very corporate formal environment. 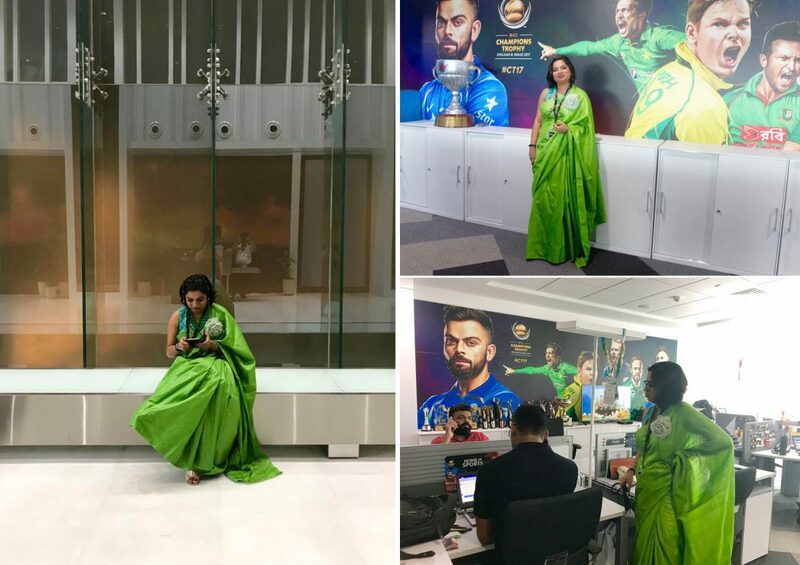 I am the only one who wears a saree in the whole of Star Sports.